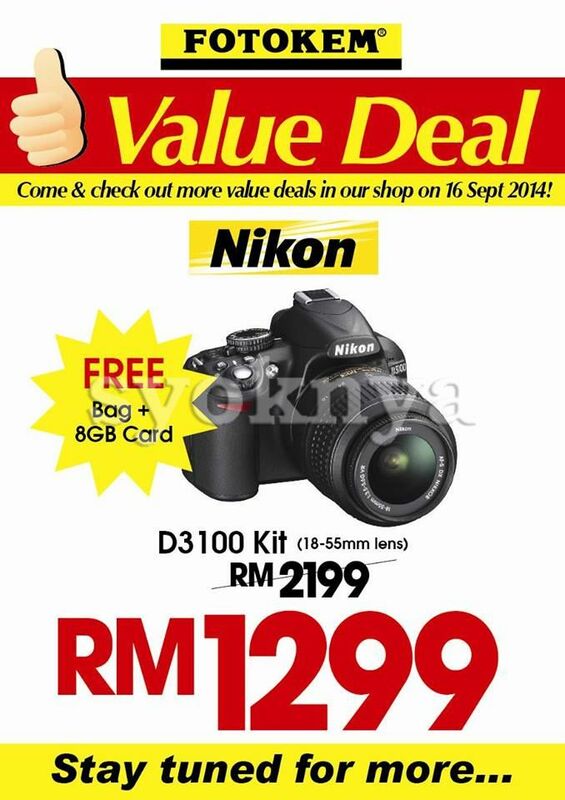 Fotokem Cameras & IT Gadgets Malaysia Day 916 Promotion Sale. 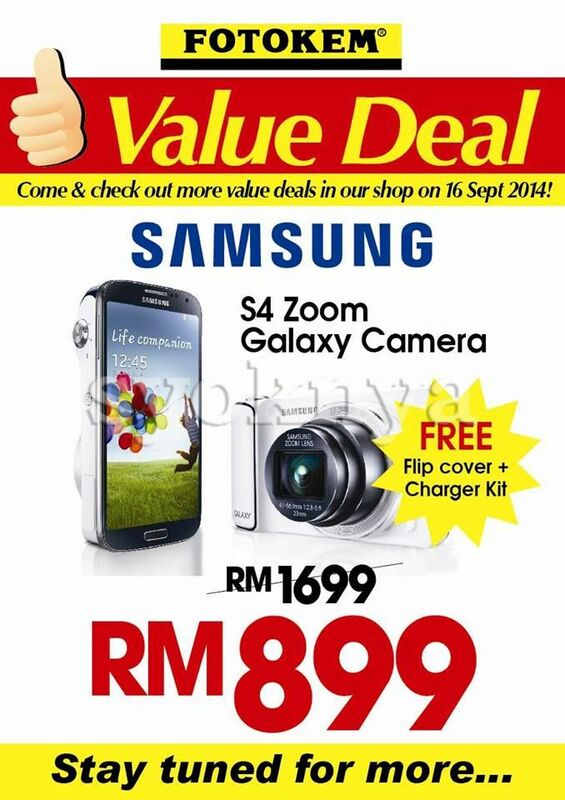 Enjoy discounts up to 70% on cameras, tablets, video cameras, digital cameras, TV, handphones and many more. 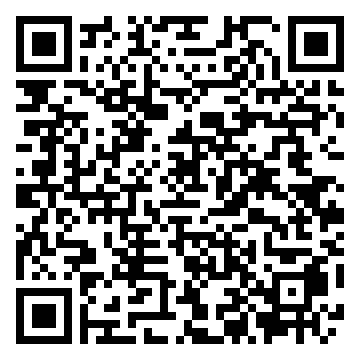 Participating brands are Sony, Nikon, Canon, Wayway, Papago, Samsung, Panasonic, Cybertic, SteinZeiser and many more. 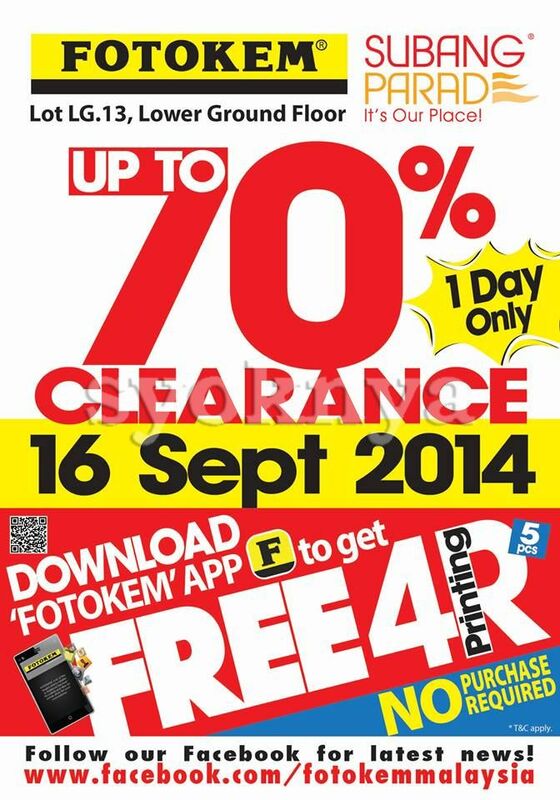 ** No Purchase Required, Download 'FOTOKEM' App, FREE 5 pcs 4R Printing. T&C apply. 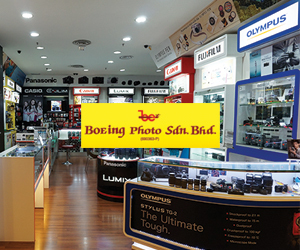 Fotokem was established as a partnership company in June 1978, principally involved in retailing of imaging equipment and photo processing with its first outlet at Sungei Wang Plaza, Kuala Lumpur. The company was converted to a private limited company on 2nd July 1981 and thus known as Fotokem Sdn Bhd. The company has expanded its business to sell all leading brands of products such as digital cameras, video camcorders, MP3, photo printers and related optional accessories. Fotokem Sdn Bhd has also invested in the latest Digital Photo Printing Machine to provide high quality of photo processing and Digital Imaging Service. 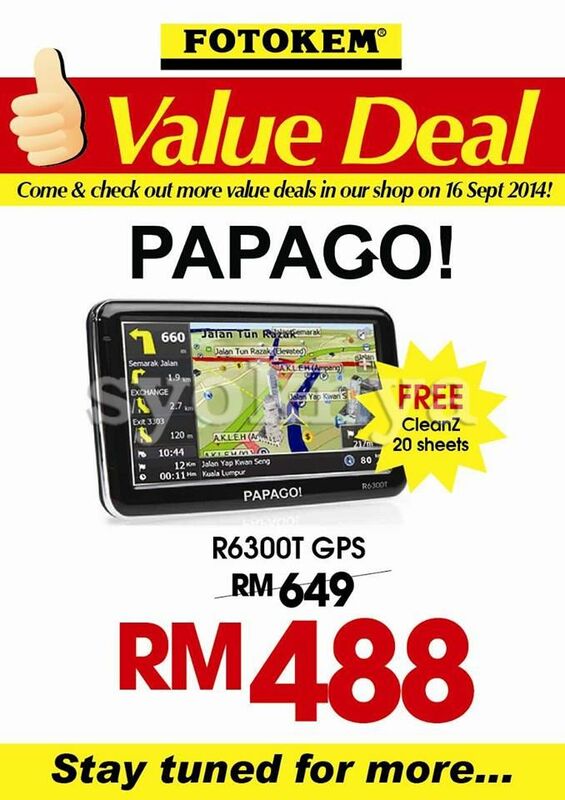 Venue : Lot LG.13, Lower Ground Floor, Subang Parade Shopping Mall, 5 Jalan SS 16/1, 47500 Subang Jaya, Selangor, Malaysia. 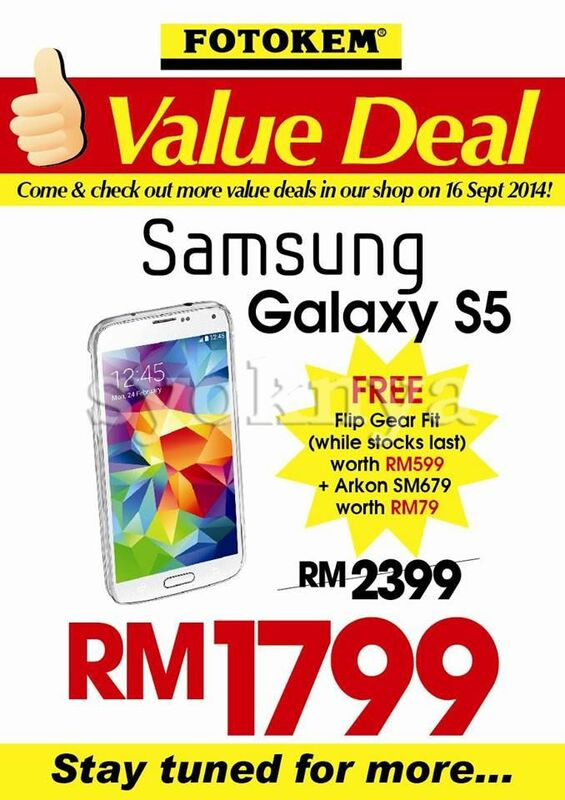 Venue : 12 SELECTED outlets 1-DAY ONLY Campaign (http://www.fotokem.com.my/help/help_getHelpFront.ehtml?hid=6) - Ampang Park Shopping Mall, Ipoh Parade, Johor Bahru City Square, Klang Parade, Low Yat Plaza Shopping Complex, MahKota Parade, Metro Kajang, Mid Valley Megamall, One Utama, Setia City Mall, Subang Parade, Sunway Pyramid Shopping Mall ONLY. 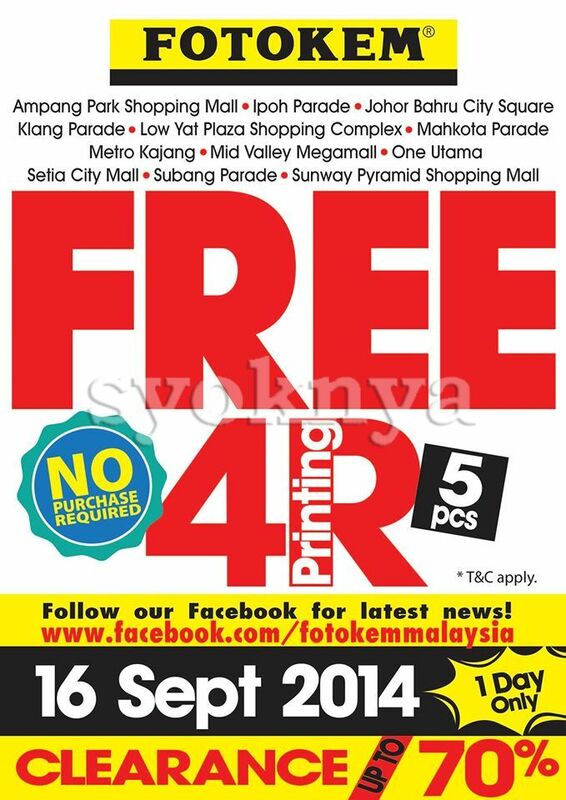 Kindly visit to Fotokem Malaysia facebook & website at https://www.facebook.com/fotokemmalaysia & http://www.fotokem.com.my/ for more details.